New Jersey's favorite car crash is heading for the Washington Auto Show. Snooki Polizzi, the sub-compact sized star of the reality show Jersey Shore, will be signing autographs tonight at Walter E. Washington Convention Center. Amid this year's fleet of new green vehicles, orange-hued Polizzi will hold court. At 6:30 p.m., the Snookster will officiate a contest to determine who in the D.C. metro area bears the most resemblance to - Snooki herself. 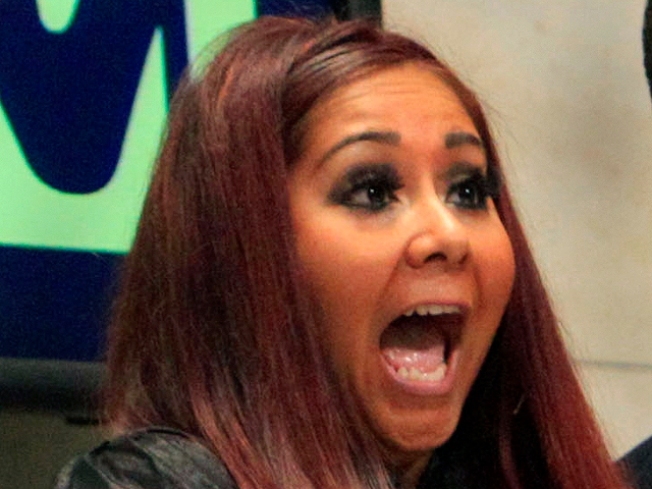 "Snooki will personally choose her best doppelganger," the show's website says, "who will win prizes hand-picked by the pint-sized starlet." Polizzi has been out of the Garden State on tour in support of her new book, "A Shore Thing."